Live the Life You Love....just go out and do it, right?!! Let this charming cotton velvet decorative pillow serve as a cheery daily reminder. 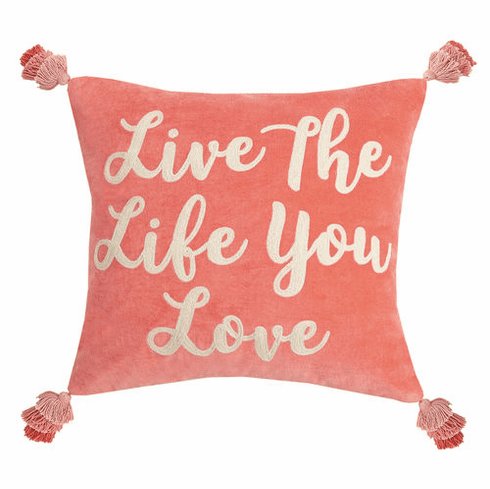 Live the live you love velvet accent pillow with tassels measures 18"sq.